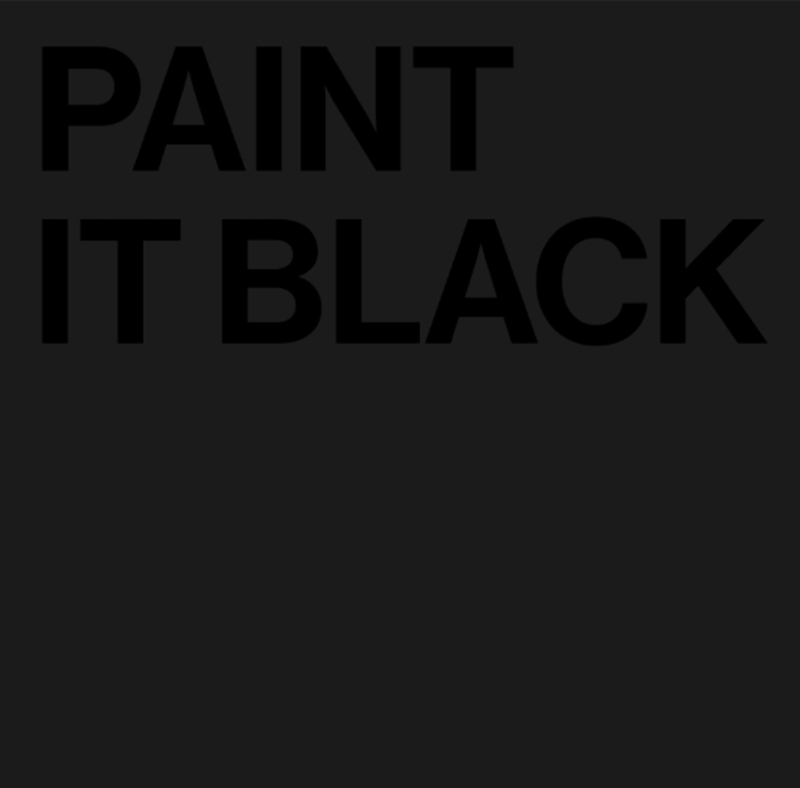 A group exhibition motivated by the ever relevant song Paint It Black by The Rolling Stones. Written by Mick Jagger and Keith Richards and first released on May 6, 1966 on the album Aftermath. The exhibition includes new and old works in a wide variety of media from the gallery’s artists and guest artists. A big thank you to all our collaborators for making the exhibition and installation possible: The artists, Chart, Gagosian, Nils Stærk, Dansk Møbelkunst, Republic of Fritz Hansen and B&O. A new large scale project by Troels Carlsen in the stairwell of Charlottenborg.